See it with someone with warm hands has a more than devilish meaning, seems like. Also – a blurb from Louella Parsons? Was Hedda Hopper out of town? 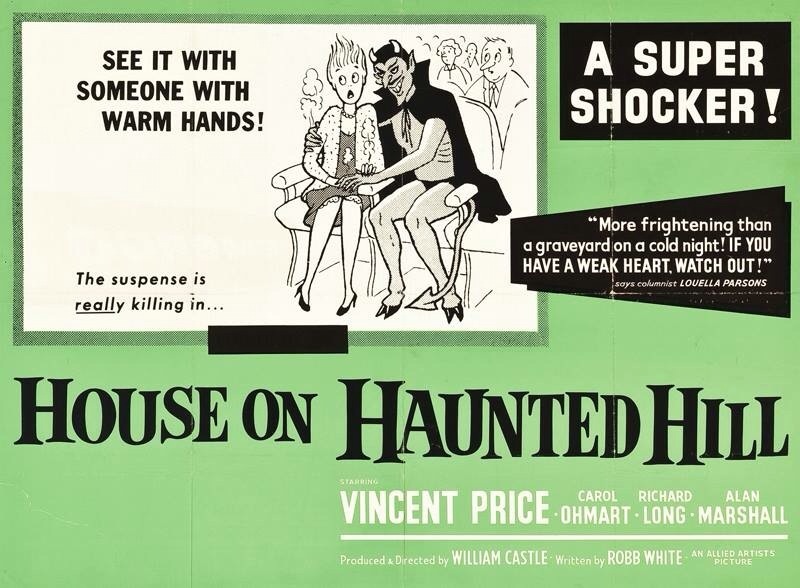 This entry was posted in drive-in movies, drive-ins, horror films, monster movies, movie ads, movie posters and tagged horror movie ads, house on haunted hill, movie ads, Vincent Price, william castle on October 12, 2015 by keithroysdon. I copped this online just now. 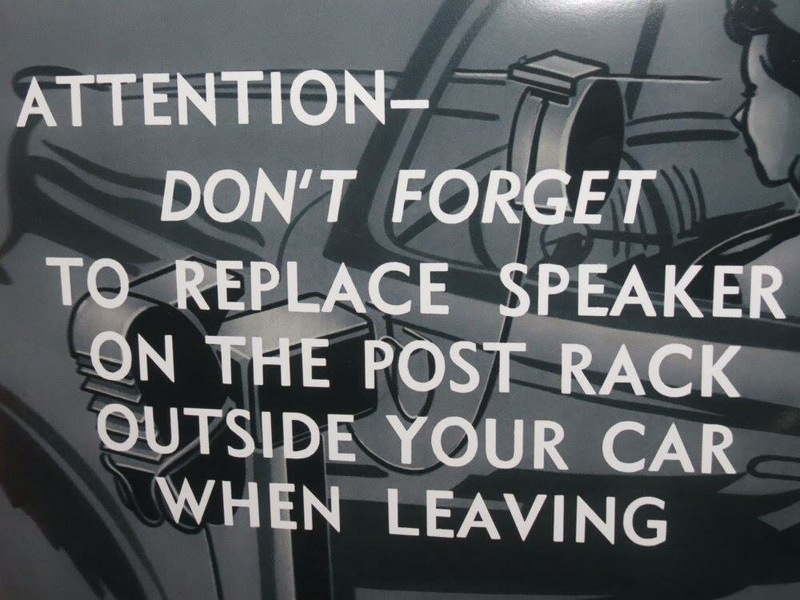 Yes I’m old enough to remember this and similar cautions when going to a drive-in movie. Yet I remember seeing it happen. This entry was posted in drive-in movies, drive-ins and tagged drive-in movies, drive-in speakers, drive-ins on September 8, 2015 by keithroysdon. You don’t necessarily think about Boris Karloff, king of the Universal monsters, on the Fourth of July. You do think about drive-in movies on the Fourth, and here’s a Karloff-centric drive-in quintuple feature ad. It’s likely this drive-in Karloff marathon took place in 1965. The top-billed picture, “Die, Monster, Die,” was released that year. All the others were older. Karloff had been well-known as a horror film actor for decades by that point, since 1931’s “Frankenstein,” and continued to appear in movies and TV up until his death in 1969. Beyond his death, actually. Although his health had declined over the years and he was often confined to a wheelchair, Karloff worked on movies late in life and some of those were released as late as 1971, two years after his death. In 1965, when this quintuple feature was released, he was considered a horror movie elder statesman at age 77. Karloff wasn’t known to a new generation of fans, by the way, until he narrated “How the Grinch Stole Christmas” in 1966. This entry was posted in Boris Karloff, drive-in movies, drive-ins, fourth of july drive-in shows, Karloff movies, monster movies and tagged drive-in movies, horror films, Universal monsters on July 4, 2015 by keithroysdon.